Remember that truly excellent scene from the ending of “Mary Poppins” where the entire Banks family dances around singing about kite flying? No? Well, you should watch it again, because as we said, it’s excellent. 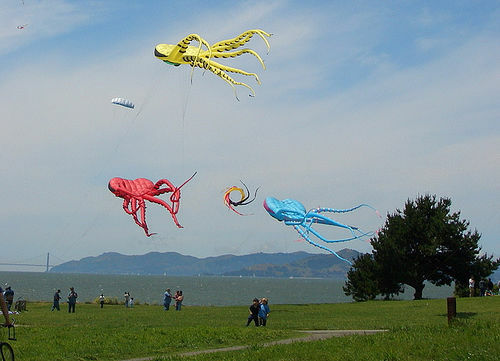 Or, if you’d rather experience the joy of kite flying first-hand, just make your way to the Berkeley Kite Festival. You heard us right: This weekend, July 30-31, from 10 a.m. to 5 p.m. Cesar E. Chavez Park (at the Berkeley Marina) will transform into a magical place full of winged things. 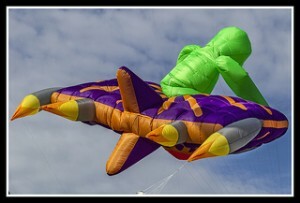 There’ll be plenty to do — perhaps you fancy a lesson in stunt kite flying? Maybe you want to watch the Rokkaku kite battles (we don’t know what to expect with this one, but it sounds pretty badass. If you’re a kid, take advantage of the free kite making opportunities from 11 a.m. until 1 p.m. If you’re not a kid, you should go anyway, because this is the kind of thing that’ll bring back wonderful childhood memories of blue skies and sunny days … even for those who never flew a kite before in their lives.